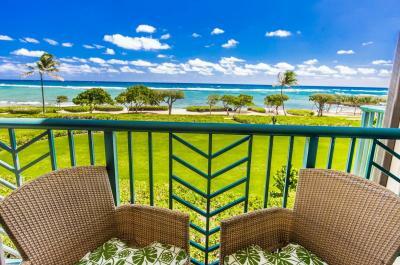 These Luxury beachfront condos at Waipouli Beach Resort are spacious, have well-appointed amenities including tasteful, attractive furnishings, soft, supportive bedding, and luxurious bath facilities. 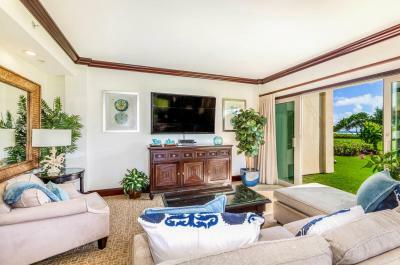 You’ll enjoy vaulted ceilings in our penthouse units, exotic hardwood cabinets, and high-speed Internet access. These homes easily accommodate as many as eight guests in comfort and style. 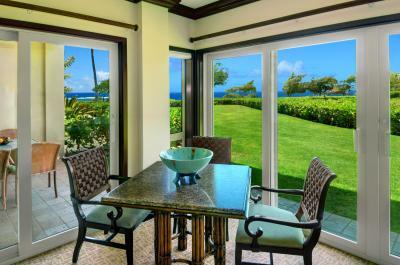 Kapaa offers every convenience you could want within easy reach. You’ll have access to an endless variety of shops, which offer Starbucks, Safeway, and everything from over-the-counter medicines to one-of-a-kind works of art. If you’re a golfer, then world-renowned courses are a mere stone’s throw away. There are plenty of family-oriented activities as well, including swimming pools, water slides, scenic waterfalls, and all types of safe, thrilling adventures. Some of the most beautiful beaches on earth are just beyond your balcony. 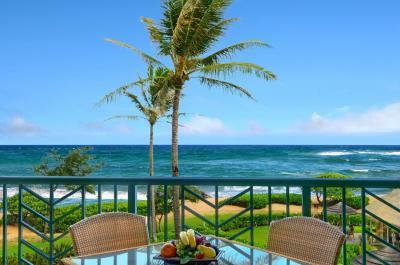 Simply step outside your beachfront condo and you’ll enjoy delightful ocean breezes, crashing waves, and emerald waters. What could be better?